Draft: 2013, New York Yankees, 4th rd. Full name is Tyler Dean Wade…graduated in 2013 from Murrieta Valley H.S. (Calif.), where he hit .524 as a senior. Hit .167 (11-for-66) with 8R, 4 doubles, 1HR, 5RBI and 1SB in 36 games (13 starts at 2B, 1 at SS and 1 at LF) over four stints with the Yankees (3/29-4/22, 7/6-25, 7/27-8/2, 9/1-9/30)...Made his first career Opening Day roster…at age 23y, 126d, was the youngest player on the Yankees' Opening Day roster and the youngest position player to make a Yankees O.D. roster since Melky Cabrera in 2007 (age 22y, 234d)...Made his first career appearance in CF in 4/10 loss at Boston, moving to the position defensively in the eighth...During his second stint with the Yankees, hit .368 (7-for-19) with 5R, 2 doubles, 1HR and 1RBI in 10 games...Hit his first Major League home run (a solo shot in the sixth off Wright Jr.) and set a career high in hits in 7/11 win at Baltimore, going 3-for-5 with 1 double...In 91 games with Triple-A Scranton/WB, hit .255 (93-for-364) with 46R, 18 doubles, 4 triples, 4HR, 27RBI, 37BB and 11SB…saw time at SS (51 games/48 starts), LF (12 starts), 2B (10 starts), CF (10 starts), RF (eight starts) and 3B (three games/two starts)...Was on the Yankees' AL Wild Card Game roster, but did not play. In 30 games (11 starts at 2B, 1 at SS, 1 in LF and 1 in RF) over three stints with the Yankees (6/27-7/15, 7/23-8/25 and 9/4-10/1), hit .155 (9-for-58) with 7R, 4 doubles and 2RBI... Made his Major League debut in 6/27 loss at Chicago-AL, pinch-hitting for Refsnyder in the eighth and remaining in the game in LF (0-for-1, 1R, 1BB)…scored the game-tying run in the eighth inning after drawing a walk in his ﬁrst career PA…became the second Yankee since 1997 to make his Major League debut as a substitute and still score a run (also Brandon Laird on 7/22/11 vs. Oakland)…was signed to a Major League contract and selected to the Yankees' 25-man roster from Triple-A Scranton/Wilkes-Barre prior to the game... With his debut on 6/27, Miguel Andújar's debut on 6/28 and Dustin Fowler debuting on 6/29, the Yankees had position players make their Major League debuts on three straight days for the ﬁrst time since Jack Little, John Dowd and Bill Otis from 7/2-4/1912 (credit: Elias)... Collected his ﬁrst Major League hit with a sixth-inning double oﬀ Jake Petricka in 6/28 win at Chicago-AL…made his ﬁrst career start (in LF) and went 1-for-5 with 1R, 1 double and 1RBI in the game... In 85G with Scranton/WB, hit .310/.382/.460 (105-for-339) with 68R, 22 doubles, 4 triples, 7HR, 31RBI and 26SB (in 31 chances), winning the International League batting title…was named to the International League Postseason All-Star Team…appeared at 2B, SS, 3B, LF, CF and RF... Was on the Yankees' AL Wild Card Game roster, but did not play. Hit .259 (131-for-505) with 90R, 16 doubles, 7 triples, 5HR, 27RBI and 66BB in 133 games with Double-A Trenton…was named to both the Eastern League Mid-Season and Postseason All-Star teams…ranked third in the Eastern League in walks and runs scored and fourth in games played and at-bats…stole 27 bases in 35 attempts (77.1%), fourth-most among all Yankees minor leaguers…played 91G at SS and 38G at 2B... Reached base safely in his ﬁrst 18 games of the season (4/7-26)... Following the season, batted .241 (13-for-54) with 17R, 1 triple, 4RBI and 13BB in 18 games with the Scottsdale Scorpions of the Arizona Fall League, while going 10-for-11 in stolen base attempts…played 16 of his 18G in the outﬁeld. Combined with Single-A Tampa (98G) and Double-A Trenton (29G) to bat .262 (126-for-481) with 57R, 15 doubles, 5 triples, 3HR and 31RBI in 127 games…stole 33 bases in 49 attempts (67.3%), third-most among Yankees minor leaguers…earned spots on both the Florida State League Mid-Season and Postseason All-Star teams…played 100G at SS and 24G at 2B... In 98 games at Tampa, hit .280 (103-for-368) with 51R, 11 doubles, 5 triples, 2HR, 28RBI and 31SB…was named FSL "Batter of the Week" for 7/6-13 after batting .560 (14-for-25) with 7R, 2 doubles, 1 triple, 3BB and 1SB in 7G, including a streak of ﬁve straight multi-hit games from 7/7-11... Was promoted to Trenton on 8/5 and hit .204 (23-for-113) in 29 games with the Thunder... Following the season, was ranked by Baseball America as the Yankees' No. 7 prospect…was ranked by Baseball America as the No. 18 prospect in the Florida State League following the season... After the season, batted .220 (9-for-41) with 6R, 2 doubles, 6RBI and 6BB in 14 games with the Surprise Saguaros of the Arizona Fall League. Spent the entire season with Single-A Charleston, batting .272 (138-for-507) with 77R, 24 doubles, 6 triples, 1HR and 51RBI in 129 games…tied for third among Yankees minor leaguers in stolen bases (22)…played 94G at SS, 20G at DH, 15G at 2B and 1G at 3B…following the season, was tabbed an Organization All-Star by MiLB.com. Made his professional debut with the GCL Yankees 1 and played his ﬁrst 46 games there, batting .309 (50-for-162) with 10 doubles, 37R, 12RBI, 32BB and a .429 on-base percentage…stole 11 bases in 12 attempts (91.7%)... Was transferred to short-season Single-A Staten Island on 8/28 and went 1-for-13 (.077) in 4G…ranked fourth among Yankees minor league hitters in season batting average (.291). April 1, 2019 New York Yankees recalled SS Tyler Wade from Scranton/Wilkes-Barre RailRiders. 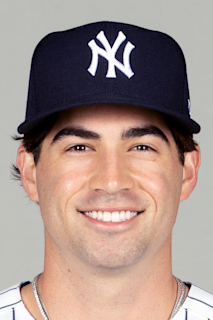 March 24, 2019 New York Yankees optioned SS Tyler Wade to Scranton/Wilkes-Barre RailRiders. September 1, 2018 New York Yankees recalled SS Tyler Wade from Scranton/Wilkes-Barre RailRiders. August 2, 2018 New York Yankees optioned SS Tyler Wade to Scranton/Wilkes-Barre RailRiders. July 27, 2018 New York Yankees recalled Tyler Wade from Scranton/Wilkes-Barre RailRiders. July 25, 2018 New York Yankees optioned SS Tyler Wade to Scranton/Wilkes-Barre RailRiders. July 6, 2018 New York Yankees recalled Tyler Wade from Scranton/Wilkes-Barre RailRiders. April 22, 2018 New York Yankees optioned SS Tyler Wade to Scranton/Wilkes-Barre RailRiders. October 22, 2017 New York Yankees activated SS Tyler Wade. October 2, 2017 New York Yankees reassigned SS Tyler Wade to the minor leagues. September 4, 2017 New York Yankees recalled SS Tyler Wade from Scranton/Wilkes-Barre RailRiders. August 25, 2017 New York Yankees optioned SS Tyler Wade to Scranton/Wilkes-Barre RailRiders. July 23, 2017 New York Yankees recalled Tyler Wade from Scranton/Wilkes-Barre RailRiders. July 15, 2017 New York Yankees optioned SS Tyler Wade to Scranton/Wilkes-Barre RailRiders. June 27, 2017 New York Yankees selected the contract of Tyler Wade from Scranton/Wilkes-Barre RailRiders. April 3, 2017 SS Tyler Wade assigned to Scranton/Wilkes-Barre RailRiders from Trenton Thunder. January 31, 2017 New York Yankees invited non-roster SS Tyler Wade to spring training. February 5, 2016 New York Yankees invited non-roster SS Tyler Wade to spring training. August 5, 2015 SS Tyler Wade assigned to Trenton Thunder from Tampa Yankees. April 7, 2015 SS Tyler Wade assigned to Tampa Yankees from Charleston RiverDogs. March 5, 2015 SS Tyler Wade assigned to New York Yankees. March 31, 2014 SS Tyler Wade assigned to Charleston RiverDogs from Staten Island Yankees. August 28, 2013 SS Tyler Wade assigned to Staten Island Yankees from GCL Yankees1. June 21, 2013 Tyler Wade assigned to GCL Yankees1. June 13, 2013 New York Yankees signed SS Tyler Wade.